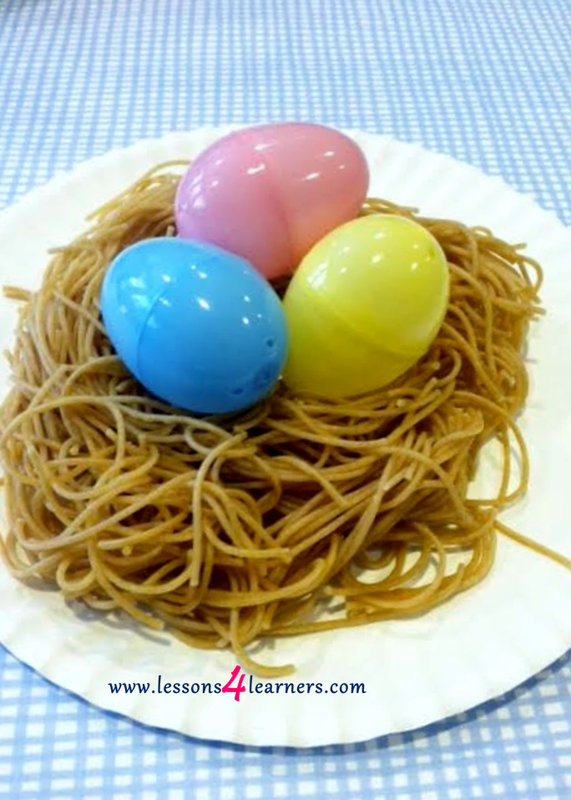 Provide child with cooked pasta noodles and plastic eggs. 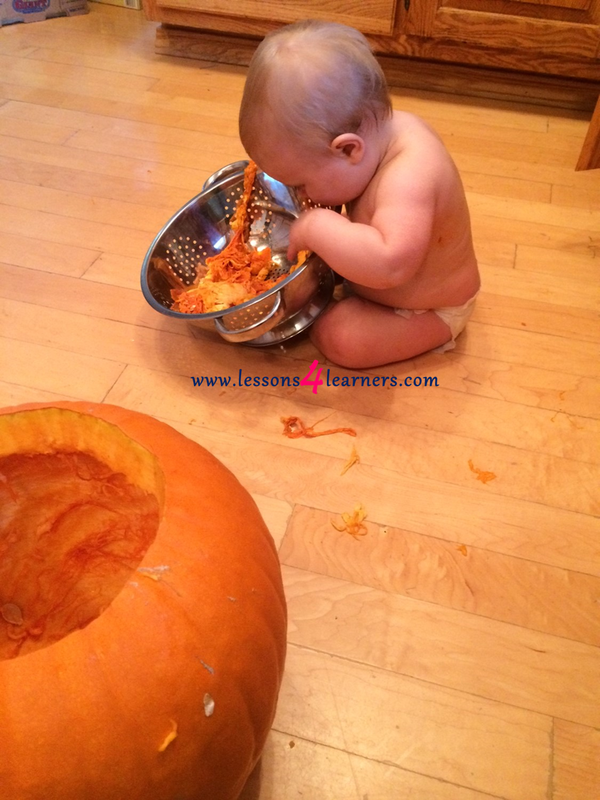 While the infant is exploring new textures, talk with them about what they are experiencing. You can use new vocabulary words to describe the feeling of the noodles and eggs. For example, as children explore sensory materials, they develop their sense of touch, which lays the foundation for learning other skills, such as identifying objects by touch, and using fine-motor muscles. The materials children work with at the sand and water table have many sensory attributes — they may be warm or cool, wet or dry, rough or smooth, hard or soft, textured or slimy. Discovering and differentiating these characteristics is a first step in classification, or sorting — an important part of preschoolers’ science learning and discovery.